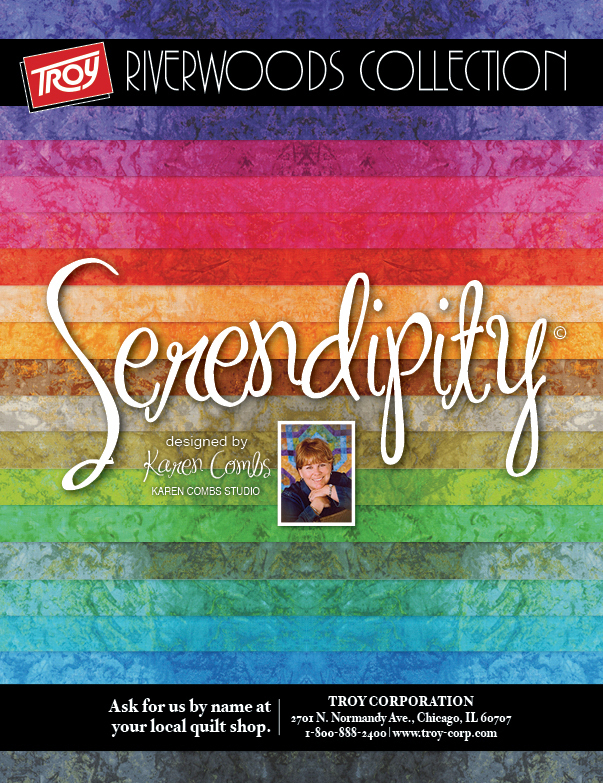 SERENDIPITY is a collection by Karen Combs, inspired by her love for color gradations, beautiful textures and lovely colors. This collection features 32 colorways, that gradate from light to dark and back to light. Each value is 14", allowing for multiple cuts. Some of the colors include rich sapphire blue, pumpkin, meadow, sage, olive, lapis, onyx, amber and petal. Available now at Karen's web store!